How Long Does It Take to Detox from Xanax? What Are the Differences between Klonopin and Xanax? Benzodiazepines are drugs that are designed primarily for the treatment of anxiety. They represent one of the most prescribed classes of drugs in the United States. These drugs are also useful for the management of seizures, as sleep aids, as muscle relaxants, and in the treatment of the withdrawal process from a number of different drugs, including alcohol. Benzodiazepines have a number of other uses, and they were initially developed to replace a similar class of drugs, barbiturates, which were highly abused and also had some significant side effects. It was hoped that benzodiazepines would produce fewer side effects and have less potential for abuse; however, these drugs are also highly abused. The DEA (DEA) classifies them as Schedule IV controlled substances, indicating that they have a moderate potential for abuse and development of physical dependence. Xanax (alprazolam) was originally marketed as an alternative to the highly abused and popular benzodiazepine drug Valium (diazepam). Xanax was hoped to be a drug that would not be prone to abuse and would produce fewer side effects than Valium, as it has a much shorter half-life and a quicker onset and course of action. Thus, Xanax could be used to treat anxiety or muscle spasms very quickly. The hope was that it would not produce lasting euphoric effects. In addition, Xanax can be used to initiate sleep in individuals who have issues with insomnia, but the hope was that it would not produce lasting effects of relaxation, sedation, and euphoria. However, the DEA consistently reports that the most commonly abused benzodiazepine is Xanax, and it is one of the top three most abused prescription drugs in the United States. The DEA and the National Institute on Drug Abuse (NIDA) report that even though benzodiazepines are highly abused, they are not commonly primary drugs of abuse (the sole drug of abuse; they are most commonly abused in conjunction with other drugs. Mixing a benzodiazepine with some other drug of abuse can result in a potentially dangerous situation. A number of sources, including NIDA, report that prescription drug abuse is a major issue in the United States. Over 20 percent of all Americans who are over the age of 12 consistently report that they have used prescription medications for nonmedical reasons at least once in their lifetime. One of the interesting observations about Xanax’s popularity as a drug of abuse comes from the American Psychiatric Association (APA). They report that the abuse potential of Xanax is actually enhanced by the pharmacological properties that were designed to make it less attractive as a drug of abuse. The short onset of action of Xanax means that individuals taking it experience it psychoactive effects very quickly. Its short half-life indicates that it is eliminated from the body rather quickly. Along with its short onset of action, this means that its effects are strong but relatively brief. Xanax is a high potency drug that produces significant effects at relatively low doses. Because Xanax is marketed as a safer alternative to Valium, potential abusers are attracted to it as a drug of abuse. Thus, potential abusers of prescription drugs actually came to conceptualize Xanax has a rather safe medication to misuse because of its endorsement by major medical associations that suggested it was less addictive than Valium. This led to an increasing trend of individuals who were seeking treatment for abuse of Xanax until 2012. 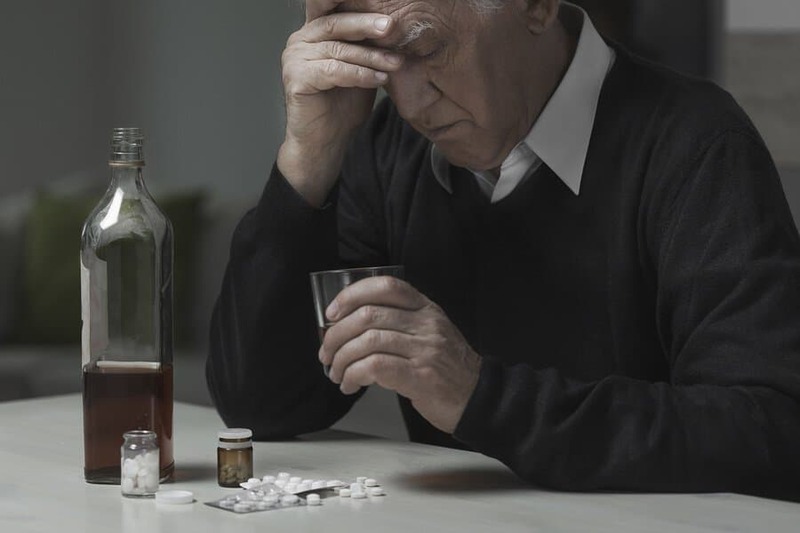 While the trend has leveled off somewhat, in 2015, an article in the Journal of the American Medical Association reported that despite the warnings and issues with abuse of benzodiazepines, these drugs were still very commonly prescribed, particularly to elderly individuals. This was considered to be somewhat of a concern because benzodiazepines are not typically designed to be long-term solutions for anxiety, sleep difficulties, as muscle relaxants, and as aids to withdraw from alcohol and some other drugs. Long-term solutions to issues with anxiety and sleeping are behavioral interventions, such as therapy. The use of Xanax as a muscle relaxant or in the treatment of withdrawal is considered to be short-term or time-limited in nature. Benzodiazepines are considered as a longer-term approach for individuals who experience seizures that do not respond to other drugs. As more prescriptions for a particular drug are written, the drug becomes more available to individuals who procure it illegally. Data released by the Substance Abuse and Mental Health Services Administration (SAMHSA) estimates that almost 2 million people over the age of 12 misused tranquilizers such as benzodiazepines in 2015. This represents about 0.7 percent of this age group and indicates that abuse of benzodiazepines is still a major problem. As mentioned above, benzodiazepines like Xanax are most commonly abused in conjunction with other drugs. These drugs include alcohol, narcotic pain medications, and other benzodiazepines. In some cases, Xanax is also abused in conjunction with stimulant medications. Individuals who mix Xanax with alcohol typically do so to enhance the effects of both drugs. At low levels, there is an increased sensation of euphoria, wellbeing, giddiness, and behavioral inhibition. However, as individuals use more of the substances, these results are typically short-lived, and a number of other potentially serious consequences can occur. The abuse of Xanax and alcohol together presents a number of unique and potentially serious issues. Alcohol is also a central nervous system depressant like Xanax. Central nervous system depressant drugs do not necessarily make people feel depressed (although individuals who use significant amounts of these drugs may become depressed), but their action results in suppression of the activity in the central nervous system. Both alcohol and Xanax lead to reduced firing rates in the neurons of the central nervous system, and this results in a number of physical and psychoactive effects. Both of these drugs have very similar actions. The effects of alcohol and Xanax are dependent on the dose an individual takes. At lower doses/amounts, they may produce relaxation, euphoria, behavioral inhibitions, giddiness, etc. At higher doses, they can produce significant issues with motor coordination, thinking, lethargy, and altered consciousness, and they can result in suppression of vital functions, such as heart rate and breathing. Both drugs have a high potential for abuse and development of physical dependence. Regular use of alcohol or Xanax results in a rapid formation of tolerance, and prolonged use of these drugs at increasing levels results in a more rapid potential to develop withdrawal symptoms. Withdrawal symptoms for both drugs are similar; they can be very serious and result in fatalities. Xanax and alcohol are drugs that are very risky when misused as they can easily lead to overdose. Overdose symptoms for both drugs are similar and can be fatal. Alcohol and Xanax are drugs that have similar, although not identical, mechanisms of action, produce similar effects, and are potentially dangerous. Mixing these drugs can result in several significant potential consequences. Mixing Xanax and alcohol produces enhanced effects of both drugs that significantly increase the risk that an individual will engage in activities that can be potentially dangerous or fatal. Drinking alcohol or using Xanax can result in issues with judgment or memory, and taking both together increases this potential risk. It is very easy for an individual to forget how much of each drug has been taken when they are mixing both together. The risk of overdose from either drug is significantly enhanced as a result of using the two in combination. For example, individuals can suffer serious overdose effects on smaller amounts of Xanax as a result of mixing Xanax with alcohol. Mixing two central nervous system depressant drugs amplifies their actions. This means that the effects of both drugs are significantly amplified compared to the effects of using one drug alone. Mixing Xanax and alcohol places a burden on an individual’s system, such that it takes longer to rid the drug from the system. This means that individuals retain more Xanax in their system than they would normally retain due to the liver metabolizing alcohol first. This can produce a number of potentially dangerous issues that are associated with using high amounts of Xanax as an individual continues to take more of the drug. Long-term effects on cognition are enhanced by mixing these drugs. Individuals may develop long-term issues with memory, problem-solving, attention, etc., as a result of chronically mixing these drugs. Long-term physical effects are also enhanced by mixing these drugs. Issues with liver damage, cardiovascular issues, damage to the kidneys, etc., are also increased when one chronically mixes these drugs in moderate to heavy amounts. Because individuals often have a number of specific personal side effects to drugs, mixing alcohol and Xanax can produce an increased potential for unpredictable and unexpected side effects that would not occur as a result of taking either drug alone. Polydrug abuse results in an increased potential to develop a substance use disorder to one or both substances. The withdrawal process for individuals who develop physical dependence on Xanax and alcohol can be quite complicated. Chronic abuse of Xanax and alcohol together produces serious issues with polydrug abuse that can present as an individual being diagnosed with both an alcohol use disorder and a sedative, hypnotic, or anxiolytic use disorder (the diagnostic label for an individual who has a substance use disorder to a benzodiazepine). These individuals require a very thorough physical, psychological, and cognitive assessment to determine the extent of any physical damage, medical conditions, co-occurring psychiatric disorders, and other psychological issues that are brought into treatment. The initial assessment helps to organize the approach to treating an individual with polysubstance abuse. Following the assessment, individuals will most likely need to be involved in a very intensive withdrawal management program. Most often, a physician will prescribe the individual a longer-acting benzodiazepine, such as Librium or Valium, in an effort to reduce the symptoms of withdrawal from both alcohol and Xanax, and to control any potential dangerous effects, such as seizures. After establishing an initial dosage that accomplishes these goals, the physician will slowly attempt to wean the individual off the benzodiazepine by tapering down the dose at specific intervals, allowing the person to adjust to decreasing doses without experiencing significant withdrawal effects. This process can be rather lengthy in some cases and often requires significant monitoring that can only be thoroughly performed in a residential program. As the individual goes through the withdrawal process, they will also need to become involved in substance use disorder therapy to provide them with education regarding their substance use disorder, to develop a plan of relapse prevention, and to develop the skills needed to function in the long-term without abusing drugs. Individuals will also need strong social support from family or support groups. Other issues that were identified in the assessment process also need to be addressed alongside treatment for the polysubstance abuse. Attempting to ignore co-occurring issues, such as depression, and only treat the substance abuse will not be successful. In addition, individuals need to participate in formal treatment programs for a significant length of time after they discontinue use of drugs in order to ensure that their potential for relapse is significantly decreased. This often means participation in treatment or support groups for years. For many individuals, continued participation in some form of intervention is a lifelong commitment.